Leros is an island with a very healthy climate ideal for a quiet holiday. Evergreen, with many inviting coves and beautiful sandy beaches, Leros relaxes the visitor with its tranquil landscape. Not very touristy, the main port of Lakki is one of the best examples of Art Deco architecture in Greece. It was designed by Mussolini's architects in 1923 and although in defiance of the dictator's wishes, the capital was subsequently moved above the village of Platanos. The rest of the island is green with stunning beaches and large bays. Leros is the ideal home base for sailing trips to the coast of Turkey and the other Dodecanese islands. Lying between Patmos and Kalymnos, Leros is an island with many beautiful bays. Indeed one of these is used for its main harbour, Lakki, which is the largest and safest in the Dodecanese islands. Without high mountains but with a lot of greenery, mainly pine trees, it has an area of 53 sq. kms and a coastline of 71 kms. It has a population of more than 8,000 inhabitants most of whom are concentrated in Lakki and three other settlements which are joined to each other: Platanos, which is the capital, Aghia Marina, the island's second port, and Panteli. Platanos is the capital of the island, built amphitheatrically below the impressive castle, with its traditional houses, the picturesque narrow lanes, the small lanes, the small square with a plane tree in the middle and the Town Hall on one side. The archaeological collection is kept at the Town Hall and high up in the village, on the slopes of the castle, is the Old church of Aghia Paraskevi. The castle is definitely worth a visit. 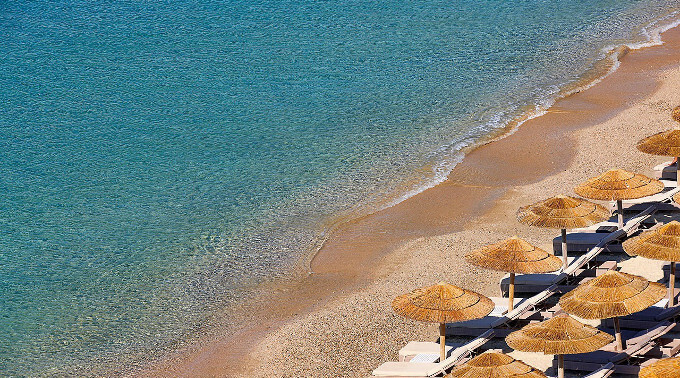 From there you can admire the lacy coastline, the beautiful sand beaches and the blue sea. From the square of Platanos a downhill street leads after about 500 meters to teh picturesque Aghia Marina, the island's second harbour. There are a few remains of the ancient town there. The two settlements are joined together. 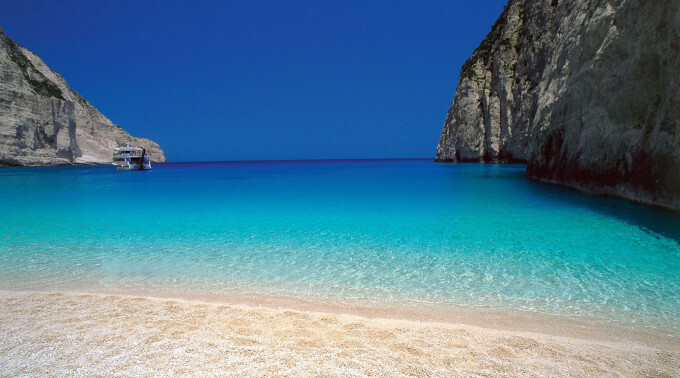 South of Platanos is the third settlement, Panteli, to the rear of a bay with the same name which has a sand beach. All three of these settlements are now joined together as from time to time houses were built in between following the contours of the natural terrain. The main port of the island is Lakki, situated in its enclosed and secure bay. Large buildings, wide streets and a lot of greenery give it a completely different look from that of the villages which you are bound to encounter visiting the island of Leros. Alinda is a beautiful seaside settlement with an extensive sand beach and avery clean water. It is 3 kms NW of Platanos to the back of Alinda bay (or Aghia Marina). 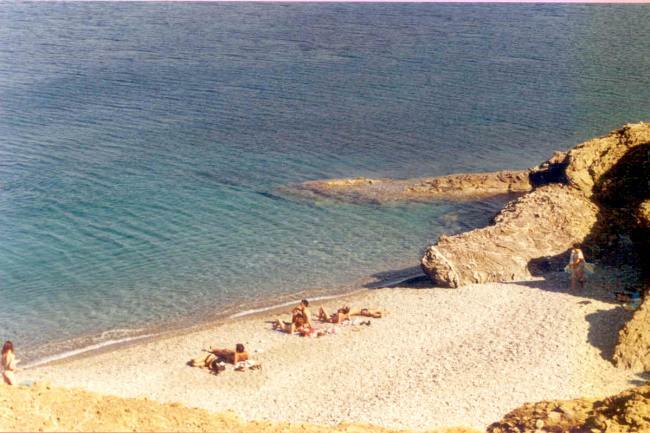 West of the bay of Aghia Marina and very near it (a neck is formed there) is the bay of Gourna with two mangificent sand beaches, Kokkalis and Drymonas. This region also has the picturesque Aghios Isidoros. On the Northernmost tip of Lero sis Partheni and the bay of the same name with the islet of Archangelos at its entrance. It is 9 kms from Platanos and it is said that the temple of the Parthenos (Virgin) Artemis was built there from which it took its present name. The airport is also close to Partheni. 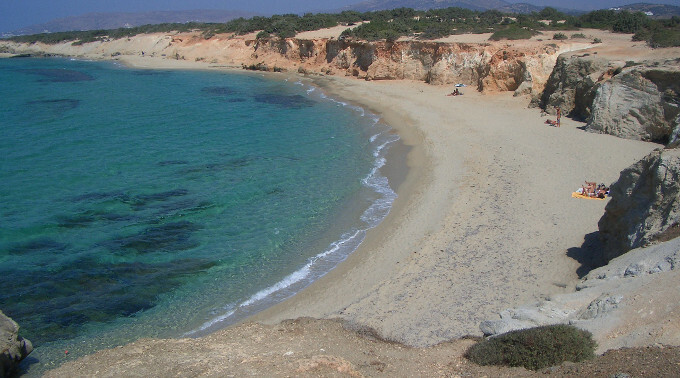 Xerokambos is an old seaside settlement on the southernmost end of the island, 8 kms from Platanos. It lies to the back of a narrow bay of the same name and has a beau-tiful beach with sparkling clean water. Leros has been inhabited since prehistoric times. The first inhabitants were most probably the Pelasgians, the Leleges and the Carians. Later the Dorians came and they were then expelled by the Ionians. From that time on Leros ws closely connected to the Ionian towns, Miletus in particular. This was followed by the occupation of the Persians who withdrew after their defeat in Greece. In 1316 the Knights of the Order of St. John became the rulers of the island. From 1455 to 1527 there were repeated pirate attacks aimed at capturing the island. From 1522 it was occupied by the Turks and remained under their occupation until 1821 when the Greek war of Independence broke out and it became part of the free Greek state. In 1912 Leros island was taken over by the Italians as were the other Dodecanese islands. The Italian occupation ended in 1943 when the Germans assumed control. During the Italian occupation important fortification works were carried out and military installations built. A new town was created at Lakki, with its own special architecture, which was unique for Europe of the period between the wars. Leros island was finally united to Greece in 1948. The harbor of Skala becomes the safest and main port in thewhole area. Large storehouses are built, castles and rich mansions to protect against attacks from pirates. In 1659 the Venetians destroy the island and in 1669 the island falls under Turkish occupation. The island of Patmos is finally freed in 1948 and united with the rest of Greece. History & Folklore Museum - Located in Alinda it is housed in one of Greece's most beautiful mansions - the Belenis Tower. Open Tuesday - Sunday 09.00 - 13.00 & 18.00 - 21.00, Monday closed, tel. 22470 25040. Archaeological Museum (Aghia Marina) - There are exhibits from Prehistoric to Medieval times. Open daily from 08.00 - 14.30 except Mondays, tel 22470 24775. Monastery of Our Lady of the Angels ('Kyra ton Agelon') - Next to the Monastery, there is one of Leros' most ancient churches; the one of St. Peter. Visit daily 10.00 - 14.00 & 16.00 - 19.30. "Bourtzi"-a roman fortress at the entrance of the harbour of Aghia Marina. "Castle of Platanos" - built on ancient ruins during the Byzantine period. Excavations revealed a tomb from the 7th century B.C. The island of Leros has 3 settlements : Lakki, Krithoni and Partheni. Lakki is a beautiful settlement where streets are lined up with eucalyptus trees and there are magnificent Italian buildings. Astypalea can be combined with the Cyclades islands of Amorgos, Donoussa, Naxos and Paros and the Dodecanese island of Kalymnos.